There are currently 42 folks involved in the challenge, and the top ten runners have already tallied 991 miles. Overall, there have been 1.459 miles run by all of the participants, so it’s $a,459 raised so far. I am at #4 right now (see my dailymile profile) with 95 miles – catch me if you can. Here are the top ten runners, as of June 29, 2011. We got an email for the Affiliate Summit affiliate program that I initially thought was a joke. My name is [redacted], I am one of your Sharasale.com affiliates ([redacted]). We have recently launched our new website and would like to request that you place a reciprocal link to our website on your website. Our site relies heavily on search engine traffic to support all of our affiliates. We have sent this same request to all of our affiliates in efforts to strengthen all of our search engine ranks by inter-linking. Below you will find the links we would like you to add somewhere on your website. These are links to where your company and website appear on our website. Also, if you would like to help us improve your listings, we would greatly appreciate you replying to this email with a full 1-2 paragraph description of your website/business so we can update it on our site. If you have any questions please feel free to contact me directly at [redacted]. When affiliates refer sales to us, I love paying them. LOVE LOVE LOVE it. But our agreement doesn’t say anything about trying to help affiliate “search engine ranks by inter-linking”. 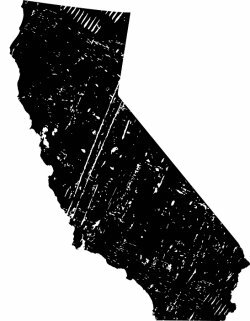 Governor Jerry Brown of California has signed his budget into law, which includes the affiliate nexus tax. With the stroke of his pen, Governor Brown just put legions of entrepreneurs and their employees out of business. The affiliate nexus portion of the budget forces out-of-state retailers to collect California state sales tax for Internet sales, based on the view that affiliate marketers constitute a tax nexus for the retailers. The immediate reaction by countless online retailers, in what promises to be a huge list, is that they will remove the affiliates of California from their affiliate programs, so they still do not assume a tax nexus. Simple summary for California politicians: no additional tax revenue will be collected. 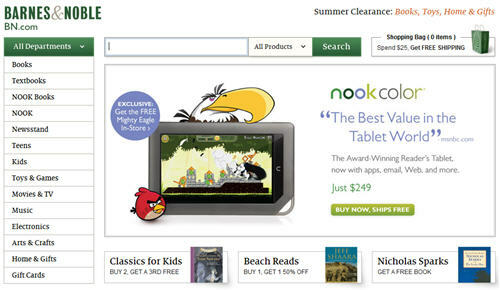 Amazon already informed their affiliates that they’re out on the street. And with scores of affiliate marketers fired by these retailers, California is going to lose a big chunk of income and income tax. Congratulations to the CA lawmakers and Governor Brown: you’ve managed to deepen your huge deficits through some misguided bureaucracy. Back in the spring, the state of Illinois passed a similar law, which forced super affiliate FatWallet.com to move from Illinois to Wisconsin, so they could remain in business. How many companies in California will now be leaving the state like FatWallet for places that are not hostile to economic growth and job creation? More details on the California affiliate nexus tax from the Performance Marketing Association. Q: As someone who is just starting to learn about affiliate marketing & not yet actually doing it. How much capital should I expect to need in order to have a viable business? A: You can really do it on the cheap. When I started out, my only investments were my domain name and hosting. You can get a domain for around $10/year and hosting for less than $10/month. It’s a relatively small investment to enable you to test the waters and see how it goes. I’ve got a site called Extra Money Answer where I detail the steps that I take to create a new affiliate site. The time it takes to make it a “viable business” depends on how you define that and how much time, effort, and creativity you’re willing to invest. Most people will make extra money with affiliate marketing, but those who do it as a career are less common. 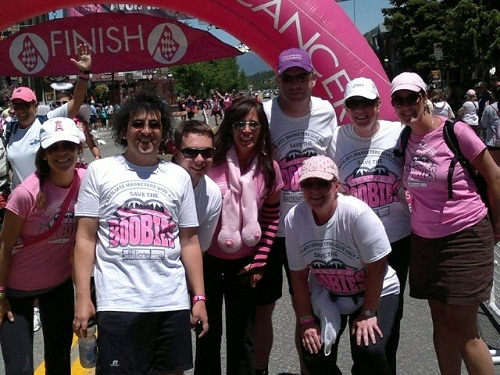 Affiliate Marketers Give Back, led by Missy Ward, just completed a grueling 39.3 mile walk in the Rocky Mountains at the Avon Walk for Breast Cancer. The team raised $73,317, and a total of $1.9 million was raised over the weekend to fight breast cancer. The Affiliate Marketers Give Back team were the largest fundraising team. Other members of Affiliate Marketers Give Back were Andrea Boone, Brian Chase, Angel Djambazov, Jennifer Goode, Paul Hardebeck, Jenny Johnson, Aaron Kendall, Scott Richter, Adam Riemer, Melissa Salas, Kevin Strawbridge, Karen Vidick, and Jason Von Feldt. I am proud to call Missy Ward my friend and business partner. 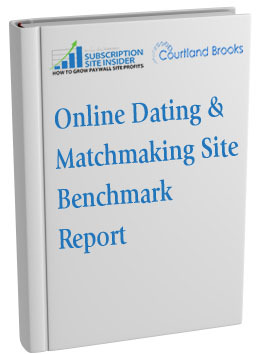 The Dating & Matchmaking Site Benchmark Report, from Anne Holland, Publisher of Subscription Site Insider and keynote at Affiliate Summit West 2006, is now available. The report is packed with useful information for any dating affiliates. One stat that jumped out at me was that 74% of dating site affiliates said the #1 thing they wished dating and matchmaking sites would do is improve their landing pages for conversions. The survey gave affiliates a wide array of things to choose, including “more advanced warning of special promos” and “better affiliate ads and promo materials”, so such a large majority sends a clear message to dating sites. The entire dating report, including 115 charts and tables based on data from 187 industry executives, is available for instant download. Affiliate Summit East 2011, taking place August 21-23, 2011, is just two months away. As we’ve done in the past, we’ll be giving away free gold passes to Affiliate Summit. Read the Affiliate Summit Ticket Sweeps Official Rules for more details. Enter the Affiliate Summit Ticket Sweeps by Facebook or Twitter. 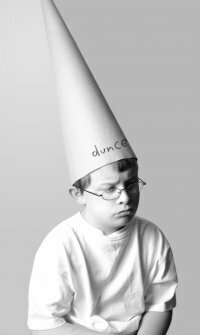 I’ve currently got 166 domains, and I actively work on a dozen or so of them. I typically redirect them to my more active domains, but that can provide a confusing user experience and questionable return. So, I was looking for some alternatives to monetize the many quality, underused domain names in my portfolio. I’ve tried hosted domains in Google AdSense and some other solutions with modest results, but I think I’ve found a winner with TheParkingPlace.com. According to TheParkingPlace.com, you can generate up to seven times more revenue than traditional PPC methods with them. They said they excel on domains with high traffic and low RPM (rate per thousand uniques) earnings. 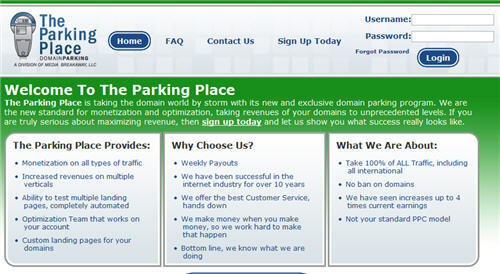 You can see an example of a custom landing page from TheParkingPlace.com at GasPrices.com. Anyhow, I am going to give them a try and see how it goes. The Conversation Prism v2.0 presentation from Affiliate Summit East 2009, which took place August 9-11, 2009 in New York, NY. We will observe, analyze, dissect, and present the dynamics of conversations, how and where they transpire — becoming digital anthropologists in the process.